Montana Colors Water Based 1mm, also known as the MTN Water Based Extra Fine Paint Marker is a welcomed fine line addition to the Montana Marker line. 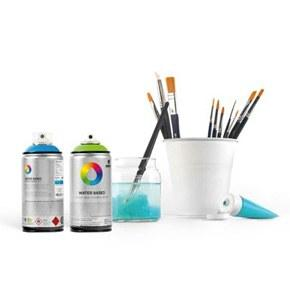 This marker is designed to fill the role of a fine-line water based paint marker - permanent when dry but easier to blend when wet. It writes smoothly on almost any surface giving you a nice solid covering thin line. RV34 Brilliant Light Green is a bright lighter yellow-green color.